Format: Half-hour, mixed live action / animation children's program. 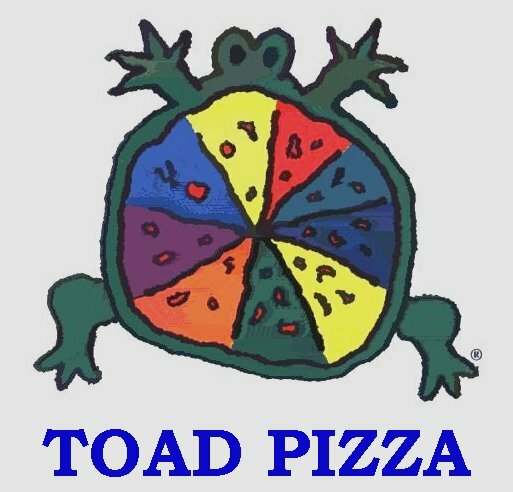 Target Audience: Ages 4 through 15.
often similarities of local customs, nutrition and table manners. 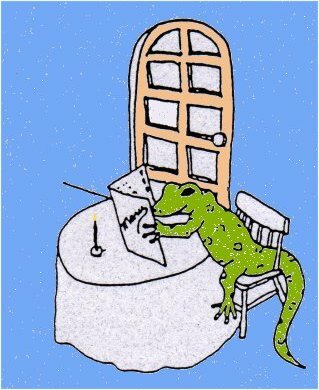 The conflict: No matter how hard they try, the world's chefs and maitre d's never seem to have the Salamander's favorite dish (filleted gumdrops) on hand. This triggers a global nightmare of crashing pots and pans and smoke-filled kitchens as desperate chefs around the world anxiously try to compensate with their own creations. 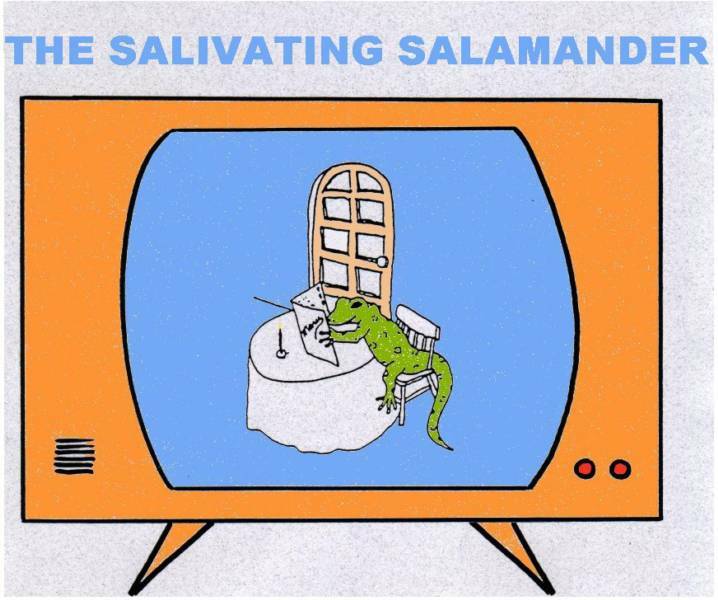 In turn, the Salamander never seems to quite understand local etiquette even though he habitually refers to his handy Sal's Guide to Local Table Manners and Customs before and while sitting down to dine. 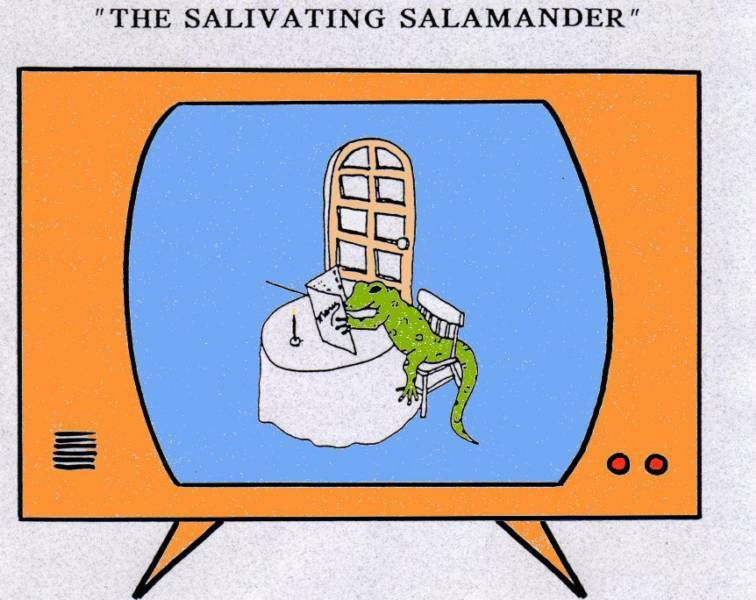 The character: The Salivating Salamander is a dapper, somewhat well-dressed chap in his mid to late 40s. A cross between David Niven, Peter Sellers and Bud Abbott, the Salamander always comes out on top in spite of himself. Instructional Opportunities: In addition to showing children worldwide the basics of local etiquette, the Salamander also explores local dress, customs, nutrition and the reasons behind all of these. In every program, he invites celebrity guests and celebrity guest chefs to teach kids how to prepare simple but curious meals they never dreamed possible. The program also provides a foundation for global worldwide cultural tolerance by impressing children with how much we really are all alike in spite of our differences.